Headlies: Dangerously underweight Lanny Poffo sues Tony Little - WrestleCrap - The Very Worst of Pro Wrestling! 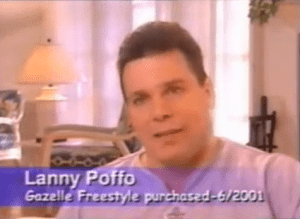 Have you ever heard of Lanny Poffo? If you’re like most people, you already know that he was The Genius of the WWF. But did you know that the former wrestling superstar has been caught in a dangerous weight loss cycle for over a decade? Poffo, who has lost 180 pounds since purchasing a popular exercise machine, blames none other than fitness guru Tony Little for his health woes. 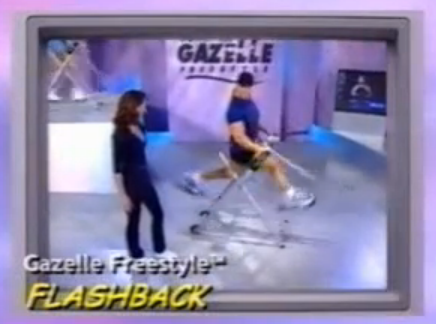 The Gazelle, an exercise machine that the former “Leaping Lanny” purchased in June of 2001 to alleviate his back problems, is purposefully designed to make users dependent on the product, he alleges in his lawsuit against Little. The multi-million dollar suit, which will not be easy on the credit card, has all the markings of the next sensational trial. The next time you’re watching TV and say, “Whoa! There’s Tony Little, and look what he’s doing!”, the infomercial star may very well be testifying in court. 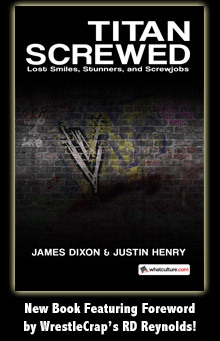 5 Responses to "Headlies: Dangerously underweight Lanny Poffo sues Tony Little"
SkinnyGenius.com. I bet that URL’s not taken! This could be frivolous lawsuit. When I did Lanny’s “math” the results were that Mr. Poffo had in reality disappeared from existence in 1994. There was some circumstantial evidence (WCW paycheck stubbs) that he was still around but archived tapes dispute this. If this “math” holds up, it could hurt his claim. I can dispute your claim! I saw him as recently as two years ago in a wrestling ring at a Night of the Legends show. How he qualifies as such I have yet to understand, but he was there! Are you kidding me? Lanny Poffo IS a legend! Do I really need to explain? Lanny’s gotta grow back his “Magnum P.I.” mustache. He just doesn’t look the same without it.